Tattersalls is to launch an all-new £15,000 Bonus Scheme exclusively for horses purchased at the 2019 Tattersalls Craven Breeze Up Sale which takes place April 15th – 17th. Similar to the widely acclaimed £25,000 Tattersalls October Book 1 Bonus, participating owners will receive a £15,000 bonus if their 2019 Craven Breeze Up purchase wins a Class 2, 3 or 4 two year old Maiden or Novice race in Britain or an ‘Open’ two year old maiden in Ireland. The cost to enter the £15,000 Craven Breeze Up Bonus will be a single payment of £1,000 and the number of qualifying British and Irish maiden and novice races is expected to number around 300 races. The new £15,000 Craven Breeze Up Bonus will run alongside the hugely popular £25,000 Tattersalls October Book 1 Bonus scheme which has already rewarded owners with well in excess of £3 million in bonuses. All two year olds, sold, bought in or failing to meet their reserve at the 2019 Tattersalls Craven Breeze Up Sale will be eligible for the £15,000 bonuses. ELIGIBILITY: Any lot offered for sale in the 2019 Tattersalls Craven Breeze Up Sale which is sold, bought in or unsold. ENTRY FEE: £1,000 payable to Tattersalls by May 8th. QUALIFYING RACES: Any Class 2, 3 or 4 two year old Maiden/Novice race run in the UK between May 20th and November 9th 2019. 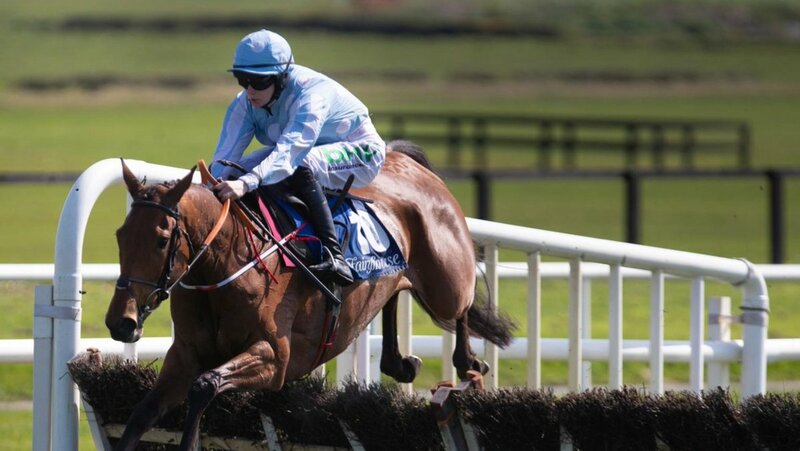 Any ‘Open’ two year old Maiden race run in Ireland and Northern Ireland between May 20th and November 9th 2019. Glorious Forever crosses the line in front of fellow Lanwades Stud-bred full-brother Time Warp (3rd) and a fast-finishing Deirdre (2nd) in the Group 1 Longines Hong Kong Cup (photo: Racingfotos.com). It is a rare occurrence for a thoroughbred breeder to hit the racing headlines in Hong Kong. With all of the territory’s racehorses imported from overseas jurisdictions, the focus subsequent to a horse’s transfer to Hong Kong is very much upon the local trainer and owner. Where and how the horse’s story began is, naturally, not as widely noted and appraised as it is in countries such as Britain or Australia, where the racing industry goes hand in hand with a breeding industry. From personal experience, conversation between winning connections in Hong Kong may quickly turn to the sale at which the horse was acquired, or indeed the previous owner if the sale was a private one, yet rarely will it extend to the brains behind the mating plans that produced said horse and the hands that nurtured it during its first few months of life. It is therefore both remarkable and significant that one of the big stories to come out of this year’s Longines Hong Kong International Races concerns Kirsten Rausing, the breeder of the last two Group 1 Longines Hong Kong Cup champions: Time Warp and Glorious Forever. Of course, the story of Glorious Forever’s following in Time Warp’s footsteps was made all the more remarkable given that the two are full-brothers. The fact that Archipenko died suddenly in the wake of Time Warp’s victory in 2017 added a further layer of poignancy to the tale. While we can hope for plenty of future half-brothers and sisters out of the dam, Here To Eternity, no further progeny will possess the unique mix of genes that has proved so potent in this most prestigious of international contests at Sha Tin. Miss Kirsten Rausing with Here To Eternity, dam of Time Warp and Glorious Forever, at Lanwades Stud near Newmarket (photo: GBRI). I visited Rausing at her Lanwades Stud just outside Newmarket with the TDN just ten days before flying out for this year’s Longines Hong Kong International Races. “I’ve been associated with this family since 1976, and I have owned the two brothers’ fourth dam since circa 1990”, Rausing recounted, with a glint of well-earned pride in her eye. “Having sold her for a seven-figure sum in US dollars, I bought her back some ten years later as a barren mare. She was very kind to me. She repaid me by giving me four filly foals in four years, and one of them was the third dam of Time Warp and Glorious Forever. Lanwades Stud has been in Rausing’s care since 1980. Her acquisition of the property, which along with adjacent satellite stud St. Simon where the pregnant mares live now covers 2.3 square kilometres, was not as facile as one might expect. Since then, Rausing has grown into a world-renowned breeder of quality bloodstock, with Ascot Gold Cup winner Fame And Glory being perhaps the best known of the Group 1 winners in recent years to carry her name as a breeder. For Lanwades, 2018 has been a record-equalling year, with 116 winners and six individual Group 1 winners bred by the operation. The stud’s stallion roster, which in 1981 began with Niniski, a son of Nijinski, is also in rude health. 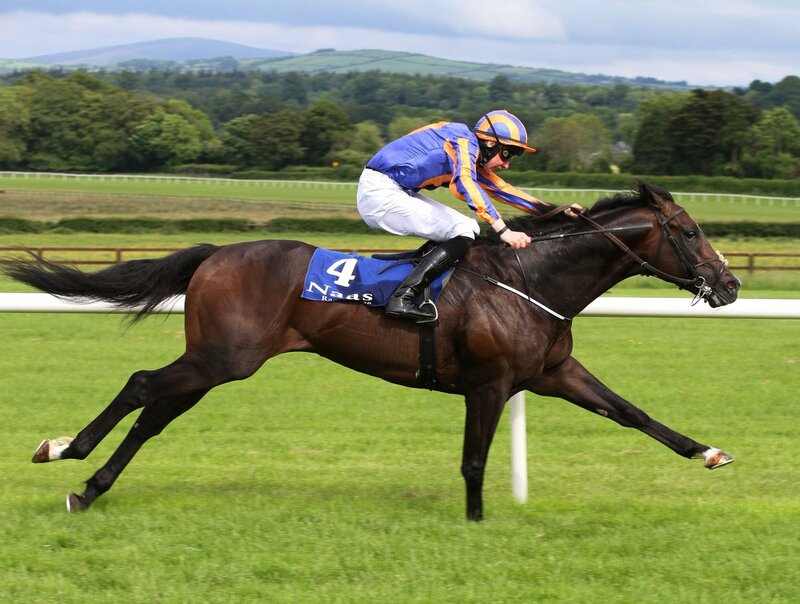 As well as 2006 Epsom Derby winner Sir Percy, it now boasts exciting recruits Bobby’s Kitten and Sea The Moon, the latter of which made a particularly strong impression as his first crop of two-year-olds took to the track this year. Sea The Moon: The son of Sea The Stars is a leading European first season sire (photo: Lanwades Stud). As for our two high-class sons of Archipenko in Hong Kong, their story had already captured the minds of the racing public well before the build up to December’s showpiece international meeting. Glorious Forever, who departed from Ed Walker’s yard at the end of his three-year-old season in 2017, did not wait long before asserting his credentials in his new environment, landing a brace of impressive wins at Sha Tin at the back end of the 2017-18 season. In the latter of these races, he smashed the track record set by none other than Time Warp just five months previously. A similarly authoritative display in his first race of the 2018-19 season in October was to be his warm-up for the first in a series of brotherly duels seen once in a blue moon in Hong Kong. Experience triumphed over youth in this first encounter in the Group 3 Ladies’ Purse, as Time Warp held Glorious Forever at bay with a characteristically gutsy front-running display. With Glorious Forever’s connections confident that their horse could only be seen to best effect if similar front-running tactics were deployed, it soon became clear that they would not be so forgiving in round two, which was to be held a mere two weeks later in the Group 2 Jockey Club Cup. This second encounter proved an exercise in futility for both brothers. Jockeys Zac Purton and Joao Moreira set frightening fractions in a stubborn refusal to cede in the battle for the lead. The pair finished a combined 31½ lengths off eventual winner Eagle Way. Evidently, neither horse would win the Hong Kong Cup if they engaged in similar antics. Yet which would concede the early battle to preserve his chance of winning the war? As fate would have it, the barrier draw proved to be a deciding factor. While trainer of Glorious Forever, Frankie Lor, had freely told the media that he would be content for his horse to be given a tow into the race, Britain’s three-time Champion Jockey, Silvestre De Sousa, had other ideas. Once Glorious Forever had been handed barrier one and Time Warp barrier seven, the game was on for De Sousa. The final of the four international races at Sha Tin begins less than 200m before the field begins the right hand bend out of the home straight. The break is therefore crucial if a horse is to secure a handy position. With tactics expected to play a big part in early proceedings, the tension as the horses stood in the gates was palpable. Would Purton really be able to roust Time Warp into an early lead from the outside barrier? As the gates flew open and De Sousa urged the young pretender to take the plum spot on the rail, it quickly became clear that the race was Glorious Forever’s to lose. With Time Warp being forced to settle for second, De Sousa was able to dictate proceedings and deliver a front-running masterclass at sensible fractions, leaving enough horse under him to power home in the closing stages and secure historic back-to-back Cup victories for Lanwades-bred progeny of Archipenko. Time Warp, caught in the final stride of the 2000m contest by Japanese filly Deirdre, finished a gallant 3rd. The atmosphere amongst the 96,000 strong crowd was electric. The new kid on the block had overturned the reigning champion in the most fascinatingly tactical of contests, securing a clean sweep for Hong Kong trainers. The script could hardly have been more compelling. Glorious Forever pursued by full-brother Time Warp in the final metres of the Hong Kong Cup (photo: Racingfotos.com). The nature of the Hong Kong International Races meeting – that is to say, the local team taking on the world on the biggest and richest stage that Hong Kong offers – means that captivating stories are sure to be served up year in, year out. The biggest headlines after the 2018 renewal were undoubtedly the aforementioned clean sweep of wins for Hong Kong’s trainers, Lor training two of the four champions, and the repeat victories of Beauty Generation and Mr Stunning in their respective contests. And yet amongst these trainer-centric headlines, this year’s Hong Kong International Races also delivered a tale seldom told in Hong Kong: that of the breeder. The poignancy and rarity of two brothers fighting it out in an international Group 1 brought into focus this crucial cog within the racing machine, a cog that can often be overlooked in Hong Kong. The remarkable story of the Lanwades-bred champions should be celebrated with gusto, for without the breeder we would have no horses to race. For Rausing herself, the achievement should not be underestimated. To breed two individual back-to-back winners of one of the Hong Kong International Races is a feat that may not be repeated for decades to come. And delighted were we lucky few present at Sha Tin to witness each brother’s moment of glory.